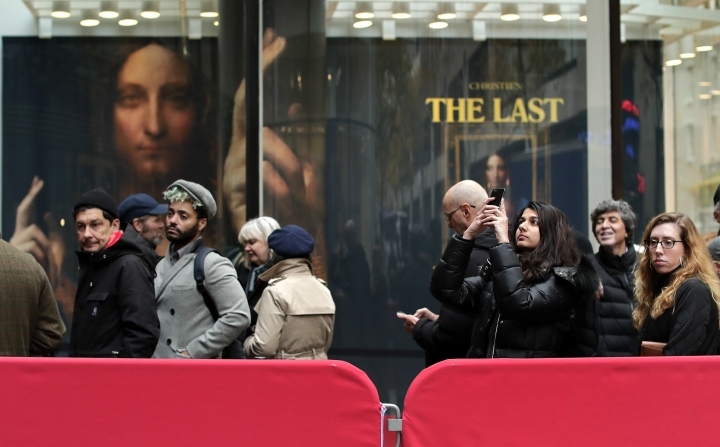 A New York auction house official says the sale of a rare painting by Renaissance master Leonardo da Vinci for a record $450 million (380 million euros) is "an honor that comes around once in a lifetime." The painting shows Christ holding a crystal orb and is called "Salvator Mundi," Latin for "Savior of the World." It sold at Christie's auction house Wednesday. Christie's co-chairman of post-war and contemporary art Loic Gouzer describes the artwork as a "painting of the most iconic figure in the world by the most important artist of all time." The highest price paid for a work of art at auction had been $179 million (152 million euros), for Pablo Picasso's painting "Women of Algiers (Version O)" in May 2015, also at Christie's in New York. The highest known sale price for any artwork had been $300 million (253 million euros) for the private sale of Willem de Kooning's painting "Interchange" in September 2015. 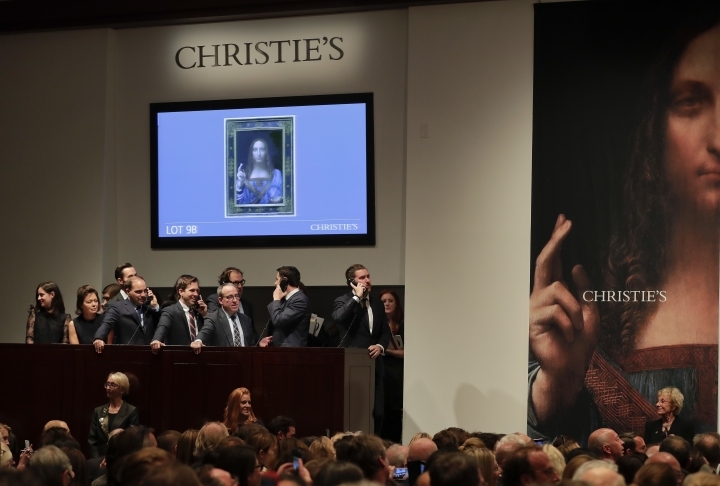 A rare painting by Renaissance master Leonardo da Vinci of Christ holding a crystal orb has sold for a record $450 million (380 million euros) at a New York auction. 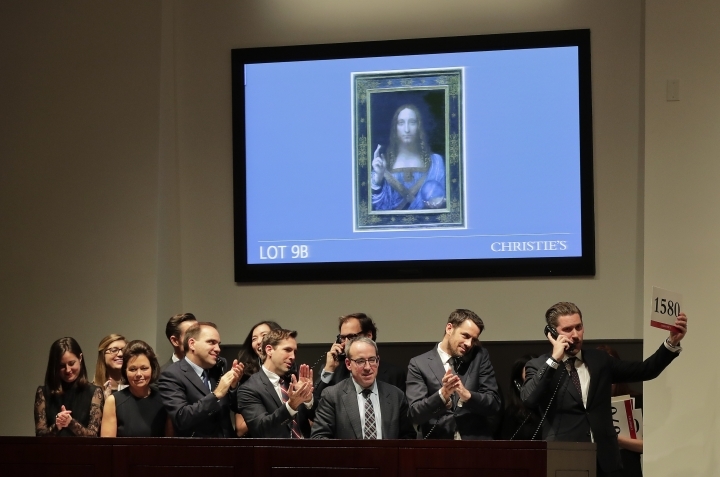 The painting, "Salvator Mundi," Latin for "Savior of the World," was sold Wednesday by Christie's auction house. 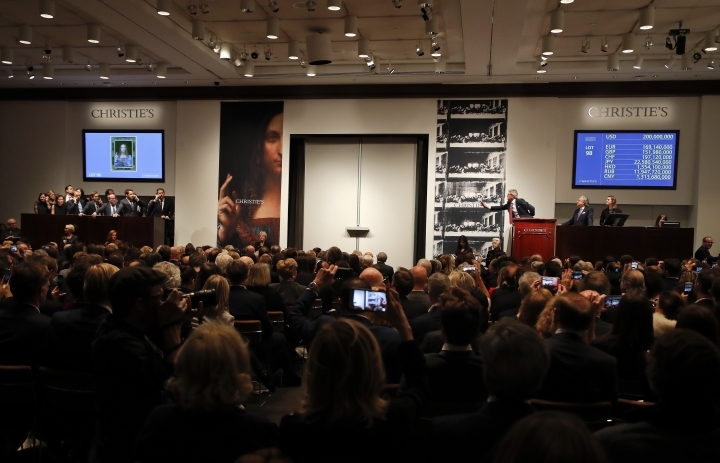 The highest price paid for a work of art at auction had been $179.4 million (152 million euros), for Picasso's "Women of Algiers (Version O)" in May 2015, also at Christie's in New York. The highest known sale price for any artwork had been $300 million (253 million euros) for Willem de Kooning's "Interchange" in September 2015, which was sold privately. The 500-year-old oil painting depicting Christ holding a crystal orb is called "Salvator Mundi" or "Savior of the World." It has been guaranteed by a backer to sell for at least $100 million (85 million euros). 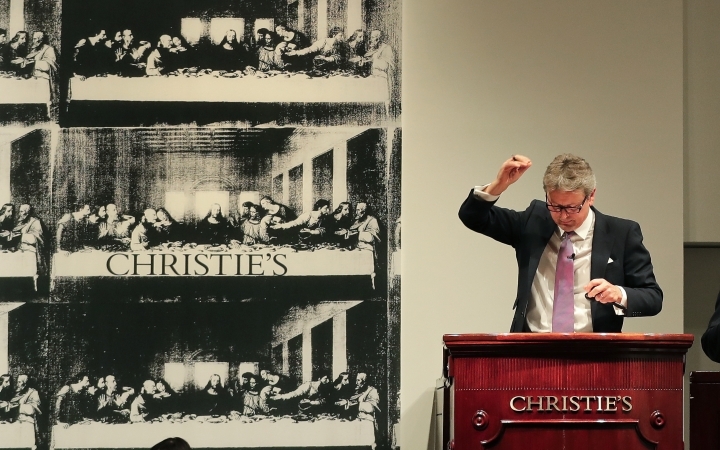 Christie's is the auction house conducting the sale. It says it is the only painting by the Renaissance master in private hands. 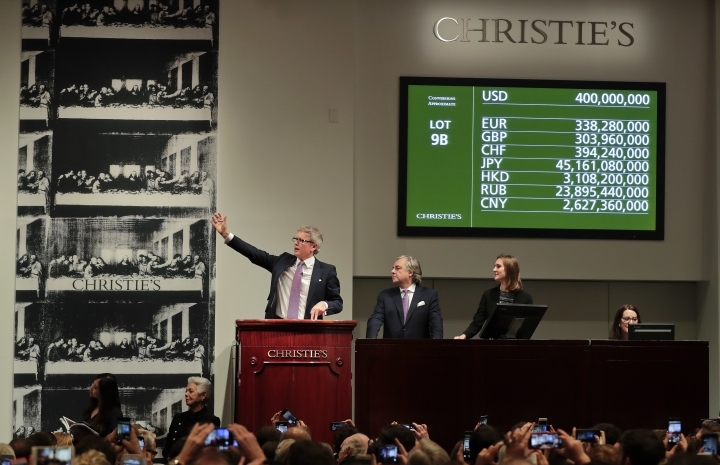 Christie's has exhibited the painting in Hong Kong, San Francisco, London and New York in the weeks prior to Wednesday's sale.